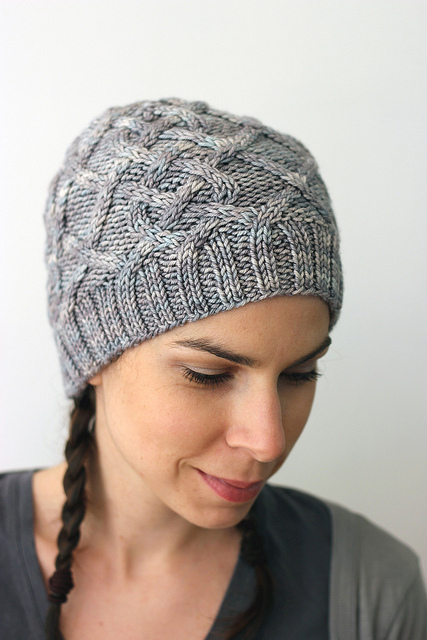 Pattern: Cabled Canuck - originally published in December of 2011. Eight years later and I still wear the Shadow version of this hat every winter. Truth be told it’s not the only hat I wear (I have a few to rotate between!) but it’s high on my list of favourites. This was my first circular cable design, where each cable flows into the next and there is no real beginning or end, it’s completely seamless. The decreases create a gorgeous floral or star shaped burst at the top of the crown. It’s such a satisfying little knit. Fun story, this hat was started out as something completely different. My first version, though cabled, looked nothing like this. I was knitting it for my brother and it just didn’t work out. Version 2.0 became this and I named it the Cabled Canuck in honour of my brother’s favourite hockey team, the Vancouver Canucks, as a little nod to him. Hi Luke!